Any parent on a conscious consumption path shudders at the thought of Halloween, or more specifically at the part where strangers thrust stupendous amounts of junk /artificial crap/ "non-food"/ rubbish /toxic treats (insert your word of choice) into our darling little monsters. I first started blogging about how to tackle the Halloween issue a few years back here. Not wanting to deprive my kids entirely from the Halloween trick or treating experience (just the junk food part), I had to come up with some creative solutions. The solution is a realization that this is not about deprivation! This is about providing a healthy alternative to every piece of junk. 2. We are fed up with what passes as treats for our kids – junk food is called precisely that for a reason! Allowing them junk food even occasionally is sending them the message that “Its ok to put rubbish in your body”. Is it really ok? 3. Healthy treats are just as, or even more, delicious than the junk food that gets handed out at Halloween without all the toxic ingredients. So why not healthy swap?!?! Our healthy treat bags have been a massive hit in past years and we could barely keep up with the demand. Parents came out of the woodwork expressing how grateful they were that healthy alternatives to junk food exists and that they no longer have to deal with the Halloween nightmare and the associated learning, behavioural and skin issues that often result when junk food is consumed. What’s in our healthy treat bags? 🎃 1x mint carob bears made with certified organic carob powder, certified organic raw cacao butter and therapeutic-grade food-grade Young Living peppermint essential oil (the most pure essential oils on the planet) .... With NO ADDED SWEETENER WHATSOEVER!!! 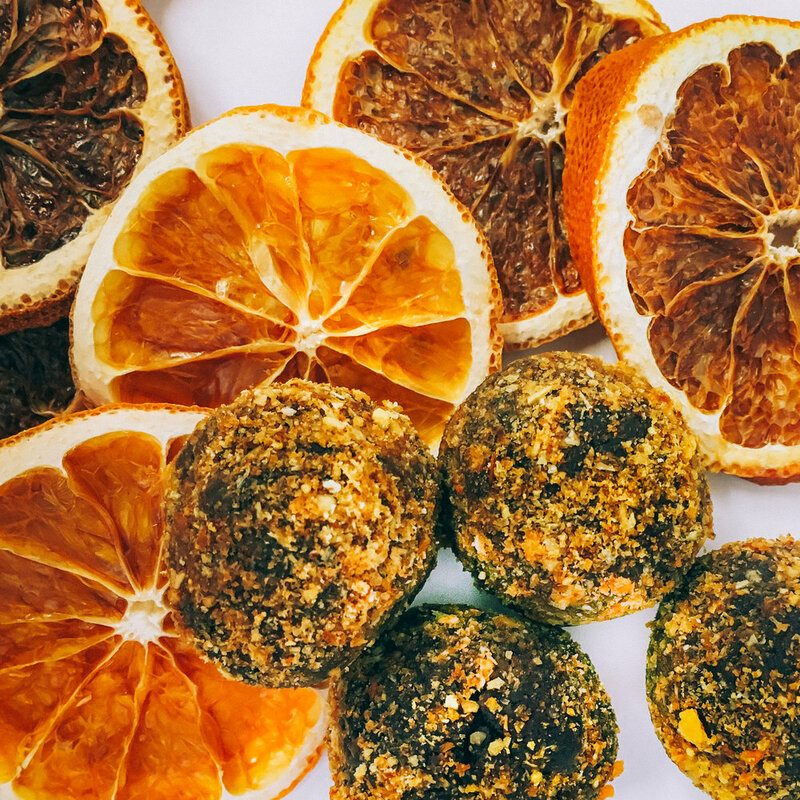 🎃 1x raw cacao bliss ball made with certified organic raw cacao butter, certified organic raw cacao butter, certified organic coconut oil, and certified organic medjool dates. All ingredients are hand made on the premises at Broth Bar & Larder and free of nuts, grains, gluten, and dairy. How to use our healthy treat bags? 1. Take them with you when going trick or treating and let your kids munch on some of the healthy snacks rather than the crappy confectionary they will be given (which you can accept graciously then turf at home). If you have no healthy alternatives with you, I can assure you that the temptation to eat junk is just too great for kids. 2. When you get back home use the treats in the healthy teat bag as a healthy swap for all of the crap that they will be given. 3. Use the treats when a little ghost or Dracula comes knocking on YOUR door. You'll feel good knowing that you have provided a little soul with something actually good for them. Our treat bags are available from Broth Bar & Larder in Bronte or you can email us at orders@staraniseorganic.com and we can courier them to you for those who live in Sydney and Wollongong. 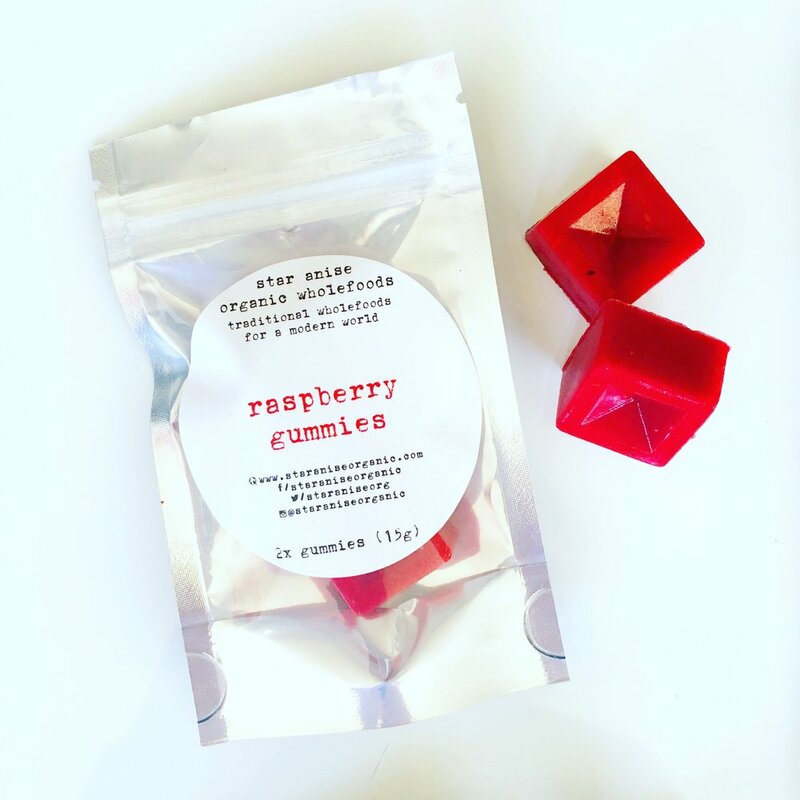 As gummies have a 2 week expiry date if you intend to use the bags for Halloween I strongly recommend that you collect them or arrange for them to be couriered in the last week of October. Please store our treat bags in fridge. Limited quantities are available so to avoid disappointment we encourage you to pre-order and pre-pay on 0421 786 009. I would love to know what you think of these healthy treat bags. Please share your thoughts below! 2 *FREE* Melbourne Healthy Home / Healthy Swap Information Sessions!